Angel Tineo 30% Off on Your Order. This offer is for limited time. 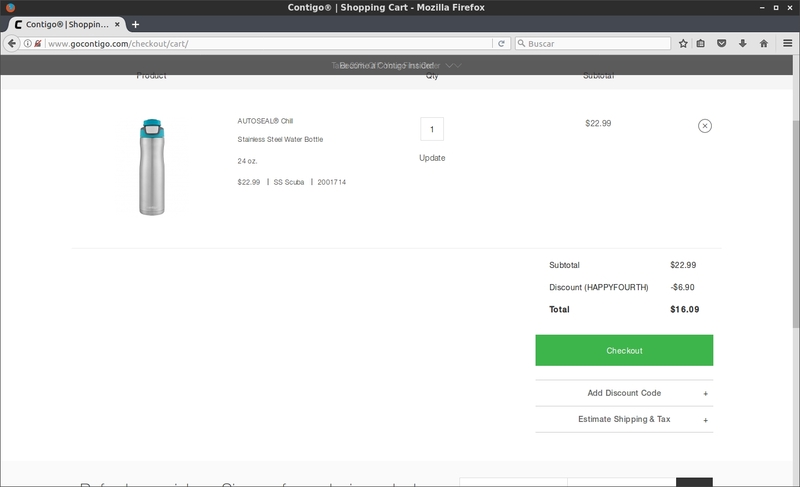 Put code in your cart. eulio hernandez This deal has a good deal, just copy and paste the code into the box to get the discount. 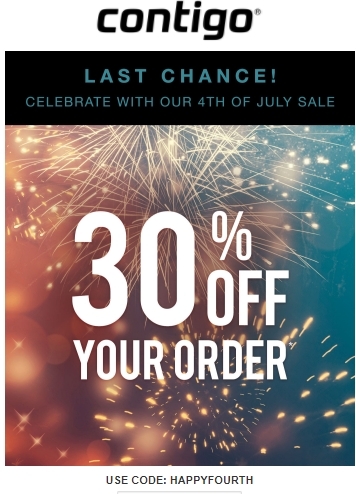 Samantha Brown Use the code HAPPYFOURTH at checkout to receive 30% off your entire order. Offer valid in the U.S. and Canada only. Promotion ends at 8:00AM CST 7/5/2017. Contigo reserves the right to limit quantities. Offer cannot be combined with other offers. Offer good while supplies last. No rain checks. Eduardo Curra I am validating that this deal works as described. 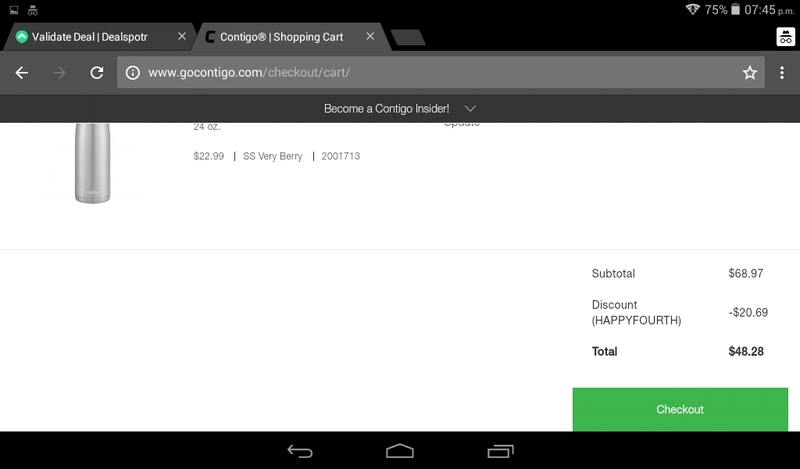 enter the promotional code during the checkout process and get 30% Off on Your Order at Contigo. Sandra Allegra This Deal Work Correctly. Only Enter in the Page, Choose The Products. Go to The Shopping Cart. Enter the Promo Code in The Box and Enjoy This Discount. 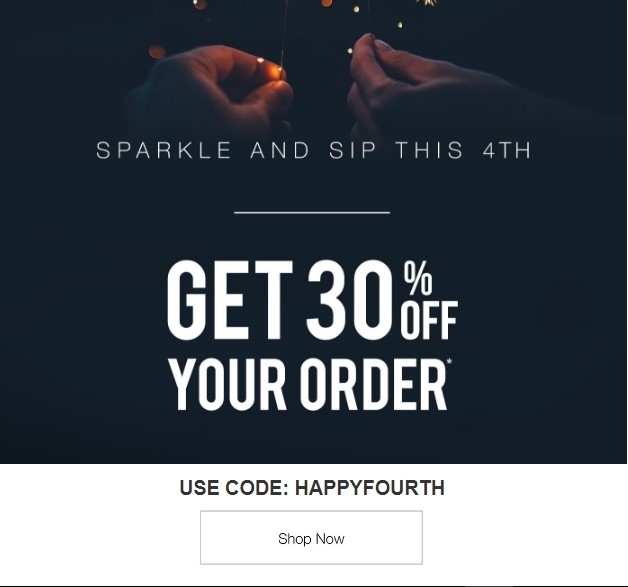 30% Off on Your Order. Finally checkout Your Purchase. Jorge Briceño This deal is working as described, copy and paste the code at checkout to claim your discount right now. Yulianny Blanco This deal works properly as described, you just have to activate it when checking your purchase and you will get the discount. Angel I am validating that this coupon works correctly as described. 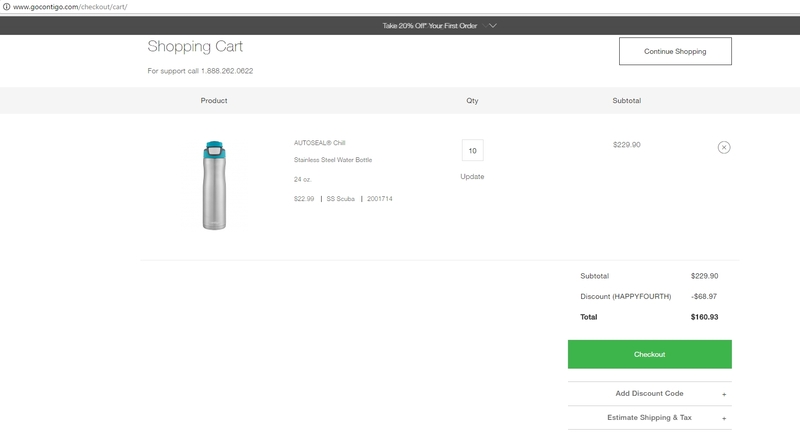 Simply add the items you want to buy to the cart, then apply the promotional code and you will get this limited time offer that offers you Contigo.